True to the Darwin Theory of Evolution we are compelled to see just how far we can advance our purist design. We regularly test new materials and tweak our build. Even if we are the best in the business as some insist, for us, it's about getting better. In the process, we end up with some world-class prototypes that may vary slightly, often just in the final look, from the "final" design. Occasionally, we produce a cable with a slight cosmetic imperfection—and quite frankly, our quality control guy is so fussy, we usually can’t see the blemish. That’s B stock. Because he says so. Then there are evaluation cables that may come directly from our test systems, sometimes even our personal systems. Demo Cables and Show Samples are also available from time to time. 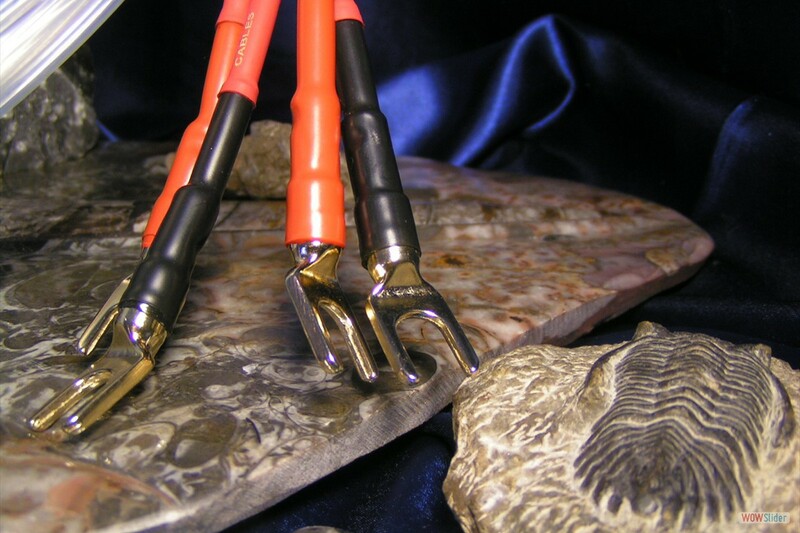 IC's, Power Cables, Speaker Cables, Specialty Cables. Finally, we may have some discontinued cables or overstock. Such is the price of Evolution. Every one of these cables meets our high standards and each comes with our 30-Day No Risk, Peace of Mind, Money Back Guarantee. The really good news is, they are all bargain priced. Check back for specials. Feel free to call 701-710-1517 or e-mail tony@darwincables to see if we have any new arrivals not yet listed. 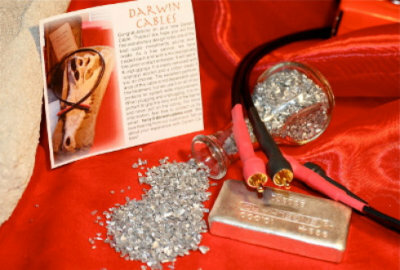 The original Darwin Silver Cable. As amazing as it is, we found ways to squeeze more performance out of the build. The Enlightenment by DARWIN spent three years in development as we tested various materials and approaches on our way to the final design now offered for $1995. We have for sale a limited number of prototypes—one-offs—that represent incredible values and deliver world class performance. The same 30-Day Money Back Guarantee applies here as it does to all of our cables. They're all beautifully constructed. • 3M Truth II RCA. AUDIO SHOW CABLE. Sometimes the setup in an audio show means we need to build something longer than our standard 1M cables. If you've got monoblocks or just a good distance from your preamp or source to the next link, you can get a world class cable at a huge discount. It's in excellent condition. —MSRP $1815.— SALE $1165. SAVE $650! • 2.25M Truth II RCA. Another Audio Show bargain. MSRP: $1515. —SALE $995. SAVE $520! • 1.75M Truth II RCA. Yet another Audio Show special build. It's in excellent condition. —MSRP $1275. — SALE $895 SAVE $320! • 1M Truth II RCA. B-STOCK. Our best cable! Minor cosmetic issues—you won't notice, but quality control did! 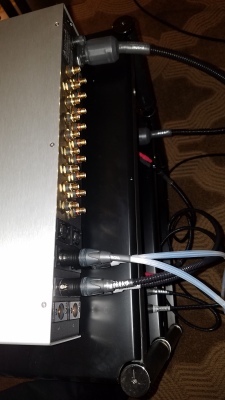 • 3FT Darwin Truth I SPDIF Digital. SHOW DEMO. Exemplary performance. Our original Truth I series, now available only as a special order. Lots of organic detail and soundstage. Killer Price. A transformative cable. Two in stock. Brilliant as RCA Interconnects, too!—MSRP $550 SALE $250. • 6FT Ascension+ I RCA. FROM TEST SYSTEM. This one spent a lot of time running monoblocks in Tony's system. It's the Ascension Plus model with enhanced cryogenics. Astounding performance. It's in perfect condition. • 2.5FT Ascension I+ RCA. An original Ascension cable with wire that was souped up with CryoWise II cryogenics. We used CryoWise I cryogenics on the ends. It created better accuracy and was the next step on our way to building the Truth which uses NASA-quality CryoWise II treatments on both the wire and terminals. • 1M Darwin Silver II RCA. SHOW DISPLAYS. With all the advances in our Darwin Cables, sometimes we have to pop a Darwin Silver II into the system to remind ourselves how good this build really is. This is the improved version of the cable that got rave reviews from Stereo Mojo among others. We have TWO PAIR available that have been displayed at shows. The packaging may show a bit of shelf-wear but the cables are pristine. Never used, virgin cables.—MSRP $495.— SALE $350! • 3FT Darwin Silver I RCA A-Stock. 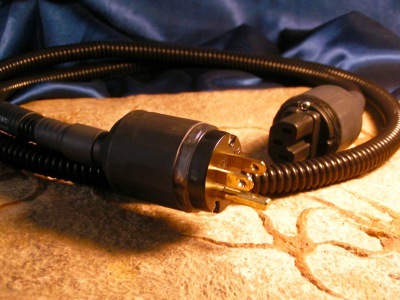 This is the cable that got rave reviews from Mojo Audio and other industry reviewers. Since our Series I cables are now built to order, we're moving out existing stock to make way for newer builds. Two available. —MSRP $295 SALE $245. 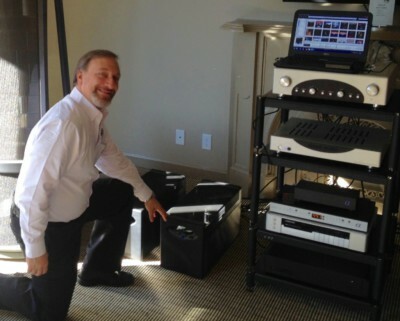 You get the same exclusive Darwin No Risk Money Back Peace of Mind Guarantee with every cable you buy! Always offered, rarely exercised. 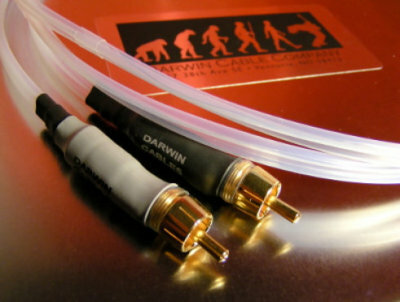 Darwin Truth II Power Cables. You'll hear the difference. The Ascension II with more under the hood. Bill Magerman, Darwin Cable Company Co-Founder. A peek behind the gear at 2017 CES in Las Vegas. 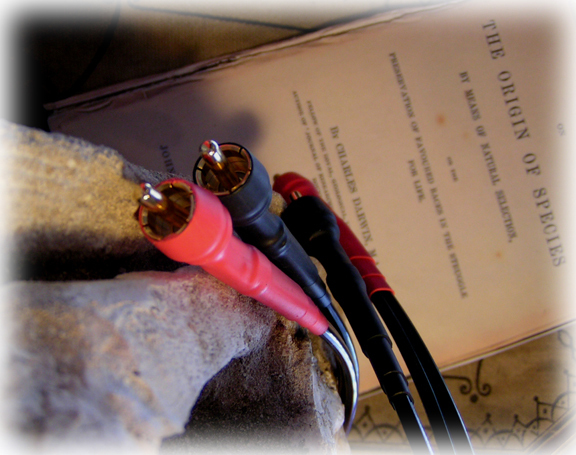 Darwin Cables at work! 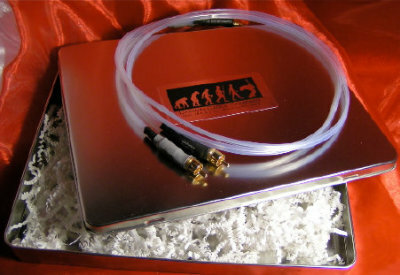 The Darwin Silver I offered audiophile performance at blue-collar prices when it was launched. 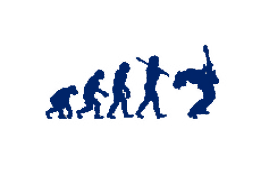 Darwin Truth I still outperforms anything on the market except the Darwin Truth II.